Born on December 23, 1805, Joseph Smith could run faster, throw farther and jump higher than the other kids in Sharon, Vermont. If you tour the sites in Nauvoo, IL., the place of his death, that’s what you’ll hear of Joseph Smith as you move about the historical landmarks. But if you are interested in facts, instead of legends, you might find yourself questioning whether it’s a good idea to put your eternity in the hands and beliefs of this man. Born to Joseph and Lucy Mack Smith, Joseph Smith Jr. grew up on a series of tenant farms in Vermont, New Hampshire, and New York. Though in his youth Joseph was largely deprived of a formal education, he was adequately “instructed in reading, writing, and the ground rules of arithmetic.” 1 Joseph’s mother said that he was often “given to meditation and deep study.” 2 It also widely known that Joseph Smith was “nimble-witted, ambitious, and gifted with a boundless imagination, he dreamed of escape into an illustrious and affluent future.” 3 Joseph Smith could always tell stories with amazing detail of ancient civilizations. According to the church, affected by the the religious movement taking place around his home in Manchester, New York, in 1820, fourteen-year-old Joseph (depending on which account you believe) was determined to know which of the many religions he should join. 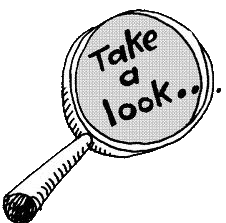 He encountered a passage in the Bible instructing any who lacked wisdom to “ask of God” (James 1:5). Early one morning in the spring of 1820, it said that Joseph went to secluded woods to ask God which church he should join. According to his account, while praying Joseph claims he was visited by two “personages” who identified themselves as God the Father and Jesus Christ. He was told not to join any of the churches. “Oddly enough, there is no mention of this “vision” in the early Mormon church records and the Improvement Era admits: “Joseph Smith’s ‘official’ account of his first vision and the visits of the angel Moroni was…first published in the Times and Seasons in 1842.”4 For such a dramatic event such as this in one’s life, you would think the person would be changed profoundly by the events and that they would be in the forefront of his mind. But Joseph Smith didn’t give an account of the vision before 1842. Why not? Jesus said in the Bible that He would only return in the fullness of Glory that would be visible from one end of the sky to the other, and God told Moses that “no one can see Him and live” [italics added], indicates more biblical evidence that Joseph Smith lied about this encounter with God, because God is unchanging and not a liar. 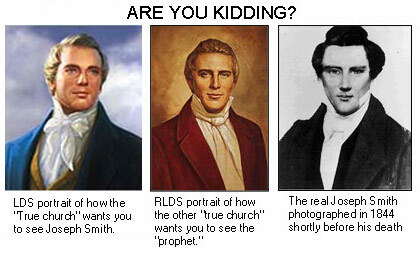 Either Joseph Smith lied or God did. Who do you believe? A gift so great, that it contained many grammatical errors. Apparently, God was so busy creating the earth in six days, He didn’t have time to brush up on his grammar skills. The resulting manuscript, the Book of Mormon, was published in March 1830. On April 6, 1830, Joseph Smith organized The Church of Jesus Christ of Latter-day Saints and became its first president and High Priest of the Melchizedek. Now, if you read Mormon literature, you’ll read “Joseph married Emma Hale on January 18, 1827, and was described as a loving and devoted husband. They had eleven children (two adopted), only five of whom lived past infancy. During the thirty-nine years of his life, Joseph established thriving cities in Ohio, Missouri, and Illinois; produced volumes of scripture; sent missionaries throughout the world; orchestrated the building of temples; served as mayor of Nauvoo, one of the largest cities in Illinois, and as general of its militia, the Nauvoo Legion; and was a candidate for the presidency of the United States.” 1 Wow! That’s very impressive. You won’t read, however, that Joseph Smith was also into mysticisms and Masonic practices, was a reader of seer stones, and was a money-digger who engaged in fortune telling. In addition to the militia he formed, what you won’t hear that it was against the law. You won’t hear that he destroyed a printing press. You won’t hear that he burned down the building that it was in. You won’t hear that he shot and killed two men with a gun he had smuggled into the jail. And you won’t hear that he had more than 30 wives. Smith was a controversial figure in American history because of his bizarre and unbiblical interpretations such as polygamy— and was as much beloved by his followers as he was hated by his detractors. One thing that Mormons do not talk much about are the facts surrounding Joseph Smith’s arrest. 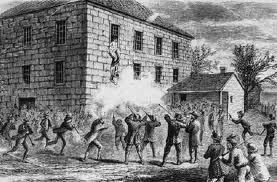 In what some would call terrorism today, Joseph Smith destroyed a printing press and burned down the building around it after some of Smith’s critics printed things about Smith and the Church in a publication called the Nauvoo Expositor. Apparently, the truth hurts. As one might expect, Joseph was persecuted much of his adult life for his unbiblical beliefs and was killed along with his brother Hyrum by a mob in Carthage, Illinois, on June 27, 1844, following the uprising surrounding the destruction of the press, the destruction of the building and, candidly speaking, the destruction of the First Amendment of the Constitution of the United States of America. Mormon apostle and leader, David O. McKay once stated: “The appearing of the Father and Son to Joseph Smith is the foundation of the church.” Got that? The foundation of the church. Let’s examine these dates of significance in light of the above quotes. 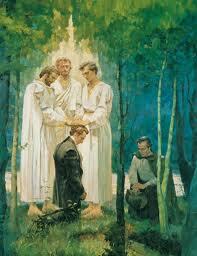 1820 – The Mormon Church’s official date when Joseph Smith supposedly had his first vision. He was 14. His vision was a visit of the Father and Son together, separate, standing in the air, talking to him. 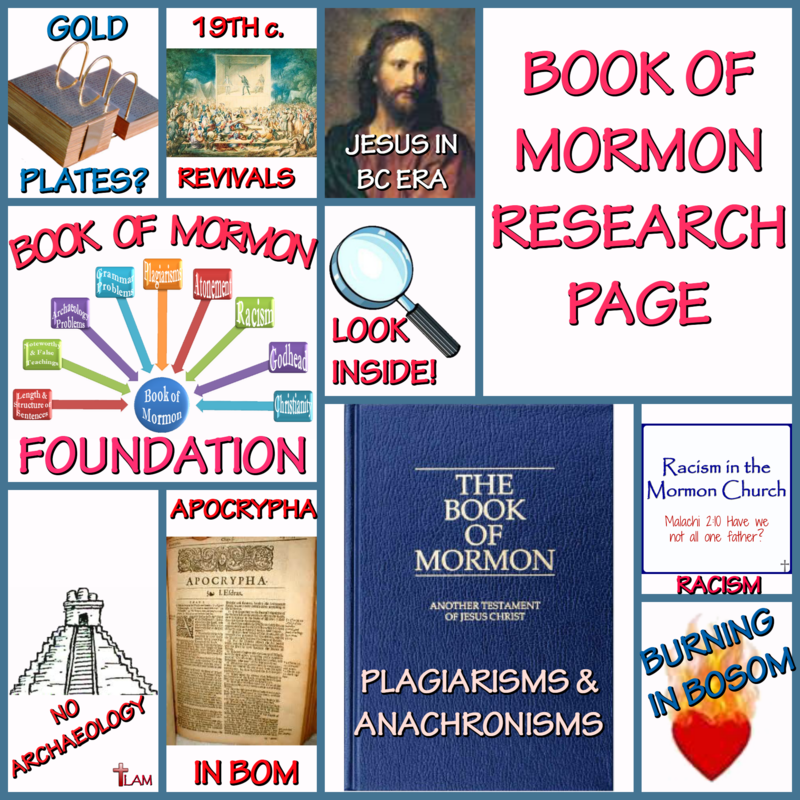 1829 – The Book of Mormon is published. 1829 – Joseph Smith enters the priesthood when he and Oliver Cowdery are visited, this time by James, Peter and John. 1830 – The Mormon Church is established. 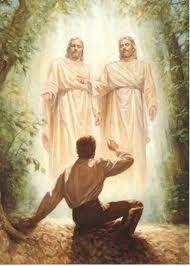 1832 – Joseph Smith gives prophecy that no man can see the face of God without being in the priesthood. So how did he see the Father in 1820 when, by his own admission, he was not in the priesthood? Or is the “Priesthood” prophesy false? Which is it? 1834 – Oliver Cowdery, assisted by Joseph Smith, recounts in the Messenger and Advocate, published in Sept. 1834, that the first vision actually came in 1823. Joseph Smith would have been 17 instead of 14 as told by the church. 1842* – Joseph Smith publishes his ‘official’ account of his first vision in the publication Times and Seasons. 1844 – Brigham Young takes over control of the Mormom Church after the murder of Joseph Smith. Young had 363 sermons published in the inspired Journal of Discourses. Never once does he mention the first vision upon which the foundation of the church is set. 1820-1850 – Numerous publications describe the first vision as Joseph being visited by the angel, Moroni. 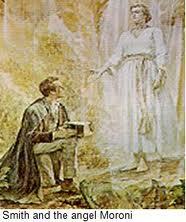 1851 – Mormon publication of the first edition of the Pearl of Great Price reveals it was actually the angel, Nephi, that Joseph Smith actually saw in 1820, contrary to all other Mormon publications that previously said it was Moroni. This is quite troubling. Was is it God the Father and Son, the angel Moroni or the Angel Nephi? And how did we get from two visitors to one? 1853 – Joseph Smith’s mother, after Smith’s death, wrote in her biographical Sketches, confirming it was, Nephi, that Joseph Smith saw. The book of Mormon is published in 1830, 10 years after the so-called First Vision, yet the 1820 vision upon which the Church if founded is not officially given until 1842? Only one conclusion can be drawn from these events, which are backed up by facts and reliable sources including the Mormon Church’s own historical records, and that is that Joseph Smith was a false prophet, money-digger and lying manipulator of people of the worst kind. Please, do not put your trust and eternity into the hands of Joseph Smith. Jesus Christ said, “I am the truth, the way and the life, no man goes to the Father but by way of the Son.” Jesus is all you need. No church, belief in no prophet is required. You can see that Paul refers to the third heaven as “paradise.” Closer examination of the word, paradeisos, the same word that Jesus said to the thief. How can you reconcile this, my Mormon friends? This passage clearly contradicts Mormon teachings about heaven and how to get there. Paul goes on in the passage to reveal that it was himself who was caught up into paradise, the third heaven, where Jesus took the saved thief. Even if one was to put the “three degrees of glory” doctrine aside, the thief is still a problem for Mormon apologists. There simply is not enough exegesis (reading out of the bible) to explain the Mormon position that the thief, a lying cheat and swindler who lived a life of reprobate, could never be in the third heaven with Jesus. 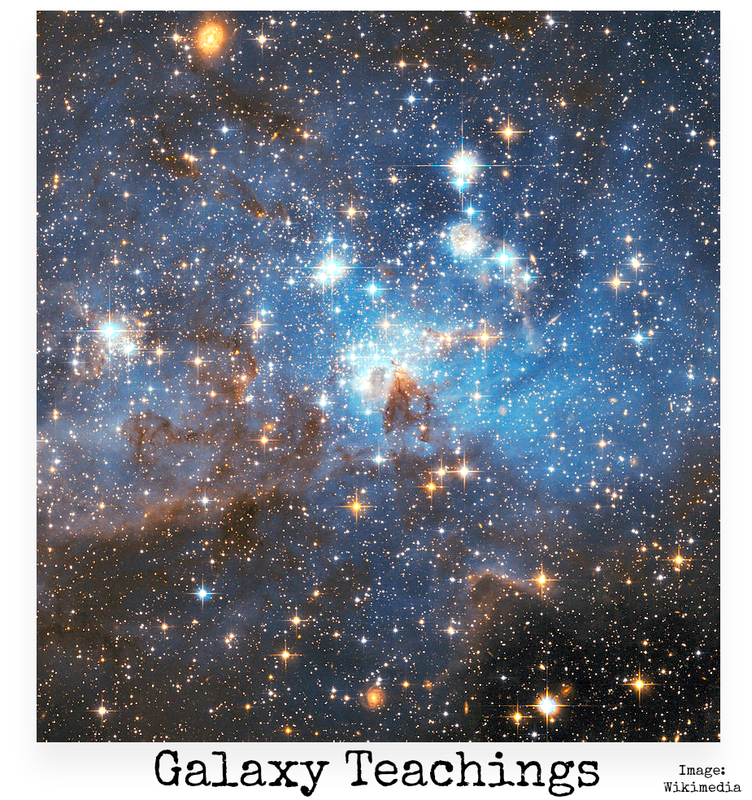 By the Mormon Church’s own doctrine and admission, you need to be a member of the “true church,” their church, be baptized and married and having performed many works (how many?…no Mormon for nearly 200 years can tell you), in order to go to the third heaven after you die. Yet, here we see Jesus and Paul, clearly describing the same heaven in the bible’s original language, paradeisos (meaning no misinterpretations here), the same heaven that will have the thief there. You see my Mormon friends, there is but one way to heaven, and that is Jesus. Confess your sins to Him, pray to Him, read His word, the holy bible, and KNOW you are saved (1 John 5:13). * Note: 22 years went by before Joseph Smith published his account of the first vision upon which, according to McKay, “is the foundation of the church.” If it was so significant, why did it not appear in the Book of Mormon? 1. History of Joseph Smith, Jr., by himself, in Joseph Smith’s Letter Book at Kirtland, November 27, 1832 to August 4, 1835 (Church Historian’s Library, Salt Lake City, Utah). 2. History of the Prophet Joseph, Improvement Era, vol. 5, p. 257. 5. Book of Mormon, title page. (3) Brigham Young, when looking down on the Salt Lake Valley, said “This is the place.” How come so many folks settled in that valley if he looked down on it? (6) What’s a plastic covered Indian? A laminated Lamanite. Of course I’ve known this since I was Nephite to a grasshopper. (7) Mormon: Someone who is more man than woman. Is “Mormon” short for “More Money”? (8) Mormonism teaches that we can know truth if there is a “burning in the bosom.” Joseph Smith was the first Mormon who had a bosom below his belt ! (10) Utah is the only state where you can spell “Moron” with two m’s. And it’s the only state where the sheep take care of the cattle ! To you are saying that Jesus being perfect needed baptism but you don’t? At least to me that doesn’t add up. John’s baptism was by water, but Jesus’ baptism (what all followers of Jesus should do, if they have the chance) was by fire and the Holy Spirit. Before His resurection it was commonly practiced as a symbol of repentence. That is what John was preaching, “repent, make straight the paths…” We as believers should follow Jesus, therefore, we should be baptized… but our salvation doesn’t rely on it. Paul describes baptism in Romans Chapter 6 as a symbol of our “death to the old life” (being buried under the water to symbolize the grave) then being raised up new in Christ. I had a conversion and turned away from my old life the moment I asked Jesus to be my Lord and Savior. I “confessed with my mouth and believed in my heart…” and I was saved, and filled with the Holy Spirit. Jesus was asked in the Gospels, “What must we do to do the works of God?” Jesus replied, “Believe in the One that God has sent”. It’s all about believing and following Him. Putting your trust in Him and making Him the Lord of your life. 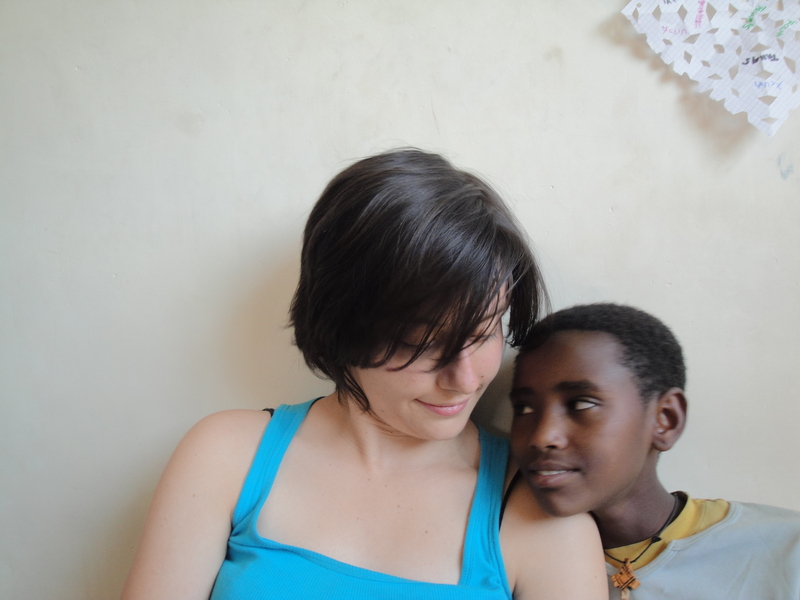 Love Him with all of your heart, soul, mind, and strength… and love your neighbor as yourself.